Organizations that adopt two-tier ERP system are better positioned to operate unstable business conditions and acquire operations that generate system efficiency and growth. So what is ERP system? Organizations use two-tier ERP to run two integrated ERP systems simultaneously, use one system, namely the legacy application, also known as single-tier ERP system which is typically set up at a corporate level and other at the subsidiary level. Two-tier ERP system is often used at large corporations with multiple sites. While we know that two-tier ERP system is the future and can seem like a second-class solution, but it's often the best available choice, here are some of the benefits that support its need. Two-tier ERP enables an organization to enhance back office processes at a site that operates under a specific business model which is separate from the main company. In order to reduce the cost of quality, tighten project schedules followed by reduced budget, single-tier ERP systems with expandable two-tier ERP system emerge strong. A two-tier ERP infrastructure allows an enterprise with existing tier-one ERP system to take more control of their performance with the easy configuration of two-tier system. When we talk about ERP, NetSuite ERP is a proven comprehensive system that changes business complexities. NetSuite ERP goes beyond traditional accounting software's, streamlining operations across entire organization and providing a real-time visibility to make better and faster decisions. NetSuite also well supports instant on-demand access to subsidiary and its divisional financials. Similarly, when it comes to computing, home is where cloud is. So, how do organizations take the advantages and benefits that cloud has to offer? The answer is known as a two-tier ERP approach. No matter how big or small your business is, the reality is that it keeps on changing. When a business enters new market, launches new products and enters a joint venture, these changes are enough to adopt cloud based ERP strategy and being in sync with the core ERP system. Cloud based ERP system gives customers a benefit by providing application potentiality and reduces hardware costs considerably. In addition, customers can also build an internal cloud to reduce ongoing hardware costing while still maintaining control over integration and acquiring access to their data server. 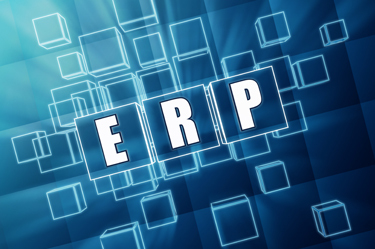 So in totality, is two-tier ERP strategy best for both worlds? We need to get clear on this that two-tier ERP doesn't mean less visibility- it means more. The maturation of cloud computing solutions finally provides for a practical, effective two-tier strategy, which means that the original vision for ERP of transparency and standardization across the enterprise can, at last, be realized. While the NetSuite cloud does provide instant access to its subsidiary and divisional financials, when it comes to technological adaptability across local and global performance requirements, it could just be.